With RealVNC software, we can share screens and better interact with contractors and, perhaps most importantly, our staff find it very easy to use. The Roads and Traffic Department of Dublin City Council is responsible for developing, preserving and managing the city’s road network. Within this department is the Intelligent Transportation Systems (ITS) team, who required a solution to assist them in maintaining and monitoring the processes used to help manage the city’s roads. By deploying RealVNC remote access software with an Enterprise license, ITS staff can carry out Urban Traffic Control (UTC), fix problems and perform administrative work remotely, eliminating the need for expensive out-of-hours visits and helping prevent disruption to the roads of Dublin. With high levels of traffic passing through Dublin every day, Dublin City Council needed a cost effective solution that would enable it to better monitor the transport systems that are in place. To help ensure the effective management of roads and traffic in Dublin, it was important the solution would enhance the efficiency of traffic control systems and enable remote maintenance of servers located around the city. 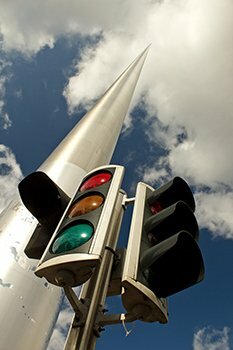 Urban Traffic Control (UTC) involves a system known as SCATS (Sydney Coordinated Adaptive Traffic System), used to adapt and control traffic lights around Dublin. The Intelligent Transportation Systems (ITS) team configure the traffic signals on this system which can automatically adapt to traffic conditions; the Traffic Control Centre can also make changes depending on current road conditions. 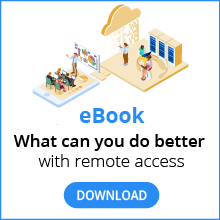 By deploying RealVNC remote access software, they can now monitor server health and carry out these configuration changes remotely, making the process more efficient and helping keep traffic moving as smoothly as possible. RealVNC software also enables staff to monitor and perform maintenance work on servers remotely, including from home, regardless of which operating system their own computer is running on. This eliminates the need for expensive, and often out-of-hours, staff call-outs, which were previously necessary to troubleshoot issues. In addition to this, when working with remote contractors for monitoring and training purposes the ITS team and the contractors themselves prefer to share screens on servers of mutual interest. The ability to do this using RealVNC software has helped to promote better working relationships between the parties. The software with an Enterprise license was chosen because it is easy to use and deploy and supports a wide range of operating systems. In addition to this, Dublin City Council felt that staff familiarity with the RealVNC software from previous use of the free version made RealVNC software the ideal solution. The Intelligent Transportation Systems team has now the ability to perform maintenance and make traffic control changes remotely, aiding the effective running of Dublin’s roads.